I can't wait to get you started doing Atkins. But before I do, I want to increase your enthusiasm to a fever pitch. Are you ready to lose more weight and more fat-and keep it off, permanently-than you've succeeded in doing on any other weight loss and weight maintenance plan you've ever tried? If so, let me introduce you to your ally, mentioned briefly in Chapter 2 and expanded upon here: the metabolic advantage. You'll recall that I said the metabolic advantage would enable you to lose weight on Atkins eating more calories than on its low-fat counterpart. Burning fat takes more energy so you expend more calories when you follow a controlled carbohydrate nutritional approach. But let me tell you that this enormous dietary bonus is, today, years after it was first studied and a decade after the first edition of this book, still an area of some controversy. In this case it seems appropriate to let you be the judge. The published scientific evidence of the metabolic advantage is so impressive and my own decades of clinical observations so confirming of the conclusions those researchers reached that I'm confident of the outcome. After you read this overview of the actual scientific evidence that underlies the metabolic advantage, you'll have the power of knowledge. I know many of you are not of a scientific bent and are put off by doctors talking "medicalese" to you. But if you pay close attention to what follows, I promise you'll be privy to some of the most exciting scientific studies ever done on weight loss. And, before the chapter is over, I'll give you a small reward by demonstrating, through one of my patients, just how the metabolic advantage works in the case of a flesh-and-blood person. I must acknowledge that I owe a debt to two brilliant British researchers, Professor Alan Kekwick and Dr. Gaston L. S. Pawan. In the 1950s and 1960s, the two were in the top echelon of British obesity research, both serving as chairmen of many international conferences. Professor Kekwick was Director of the Institute of Clinical Research and Experimental Medicine at London's prestigious Middlesex Hospital, and Dr. Pawan was the Senior Research Biochemist of that hospital's medical unit. Their seminal experiments (first on mice and then on obese humans) provided the breakthrough concept-including the mechanism, rationale and evidence-that a low-carbohydrate/high-fat diet has a metabolic advantage over so-called "balanced" or "conventional" low-fat diets. In the early 1950s, the two researchers were struck by the many studies that suggested diets of different compositions of fat, protein and carbohydrate provided differing rates of weight loss. Their subsequent study on obese subjects found that those on a 1,000-calorie diet, comprised of ninety percent protein-and especially those on a diet comprised of ninety percent fat-lost weight (0.6 pound and 0.9 pound per day, respectively). However, when the same subjects were given a diet with the same number of calories, but comprised of ninety percent carbohydrate, they did not lose any weight, but in fact gained a little. Kekwick and Pawan then replicated a study they had previously done on animals and found the same phenomenon with humans: A diet of 1,000 calories worked well for weight loss so long as carbohydrate intake was low, while a high-carbohydrate 1,000-calorie regimen took off very little weight.' They then showed that their subjects did not lose at all on a so-called "balanced" diet of 2,000 calories. But, when their diet contained primarily fat and very little carbohydrate, these same obese subjects could lose, even when they ate as many as 2,600 calories a day. 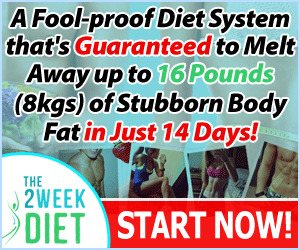 The difference in weight loss between the two programs comes close to being one-half pound per day. Despite the Middlesex doctors' impeccable reputations, the majority of their colleagues remained skeptical, given their "calorie-is-a-calorie" mind set. They set out to disprove this intellectual bomb that Kekwick and Pawan had dropped on them. Among other things, critics claimed that the impressive results of a low-carbohydrate diet were merely water loss. However, Kekwick and Pawan did water-balance studies that showed water loss to be only a small part of the total weight lost. Kekwick and Pawan then embarked on a twoyear study of mice in a metabolic chamber. By measuring the loss of carbon in the feces and urine, they were able to show that the mice on the high-fat diet excreted considerable unused calories in the form of ketone bodies, as well as citric, lactic and pyruvic acids. At the end of the study period, they analyzed the fat content of the animals' bodies and found significantly less fat on the mice that had been fed a high-fat, low-carbohydrate diet. Perhaps the most provocative aspect of Kekwick and Pawan's work is that during the time they were proving the metabolic advantage of a low-carbohydrate diet, they detected and extracted a substance from the urine of people on the regimen. When that substance was injected into mice, it caused the same metabolic results they had observed in the mice on low-carbohydrate diets, indicating that fat was "melting" off their bodies. The carcass fat decreased dramatically, the ketone and free fatty-acid levels rose and, most significantly, the excretion of unused calories via urine and feces rose from a normal ten percent to thirty-six percent. They named this substance fat-mobilizing substance (FMS). Kekwick and Pawan attributed hormonal properties to FMS. Unfortunately, their findings on FMS have never been investigated by scientists. But I am hopeful that research will be underwritten that will seek to duplicate and investigate further this phenomenon. I intend to do my part, through the newly formed Dr. Robert C. Atkins Foundation, which will sponsor further research on the metabolic advantage and other aspects of controlled carbohydrate nutrition. Now let's look at some other research that supports the fat-burning theory, this time from the Oakland Naval Hospital. Impressed with the Kekwick and Pawan success, Frederick Benoit and his associates decided to compare a 1,000calorie, 10-grams-of-carbohydrate, high-fat diet with fasting (the same principle that Kekwick and Pawan found most effective), using seven men weighing between 230 and 290 pounds. They used state-of-the-art body composition technology. After ten days, the fasting subjects lost 21 pounds on average, but most of that was lean body weight; only 7.5 pounds was body fat. 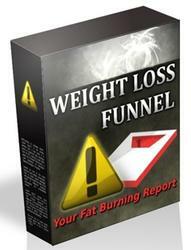 However, on the controlled carbohydrate regimen over the same period of time, 14 of the 14.5 pounds lost was body fat. Think of it. By eating foods low in carbohydrate and high in dietary fat, subjects burned their fat stores almost twice as fast as when they ate nothing at all! Still not convinced? Try this one. Charlotte Young, professor of clinical nutrition at Cornell University, compared the results of overweight young men placed on three diets, all providing 1,800 calories, but with varying degrees of carbohydrate restriction. The regimens contained 30, 60, and 104 grams of carbohydrate, and subjects followed them for nine weeks. Young and her colleagues calculated body fat through a widely accepted technique involving immersion underwater. Those on 104 grams of carbs lost slightly better than 2 pounds of fat per week, out of 2.73 pounds of total weight loss-not bad for 1,800 calories. Those on 60 grams of carbs lost nearly 2.5 pounds of fat per week, out of 3 pounds of actual weight loss-better. But those on 30 grams of carbs, the only situation that produced lipolysis and the secondary process of ketosis, lost 3.73 pounds of fat per week-approximately one hundred percent of their total weight loss. These results are a perfect example of the benefits the metabolic advantage provides. That's what has enabled most of my patients to succeed. And it will make you a success, too. Before we leave Charlotte Young, I've got good news for those of you who have been trying to lose weight on low-fat plans, most of which typically comprise sixty percent or more carbohydrate. Dr. Young's most liberal regimen contained only thirty-five percent carbohydrate. She discovered that the more carbs consumed, the less body fat was lost. In treating many thousands of weight loss patients, I have observed the same thing. And virtually every other scientist who has actually studied controlled carbohydrate nutrition has confirmed that the more carbohydrate consumed, the less the amount of body fat lost. And that may be one of the major reasons you are struggling with your weight and getting nowhere. Several other studies have shown that you can consume more calories and lose more weight than on low-fat programs. For example, Ulrich Rabast and associates at the University of Wurzburg studied forty-five hospitalized patients for five weeks.' Once again the controlled carbohydrate approach to weight loss demonstrated a significant metabolic advantage: This time an extra 9.24 pounds were lost on the low-carbohydrate version of a 1,000-calorie-a-day diet in contrast to the 1,000-calorie-a-day, low-fat diet. Moreover, careful water-balance studies demonstrated that the proportion of those extra pounds that could be attributed to water loss was insignificant. This trend continued in other trials, even when calories consumed were greater than 1,000.